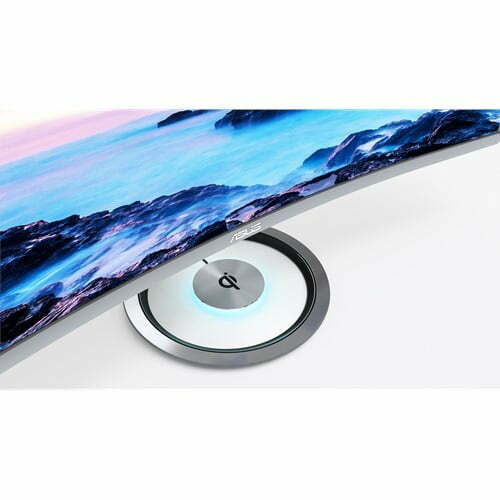 Curved displays are all the rage lately, with both TVs and PC monitors jumping on the bandwagon. Asus has a few new options, and the firm has started shipping its latest model that aims to provide more of a wraparound experience for PC users. 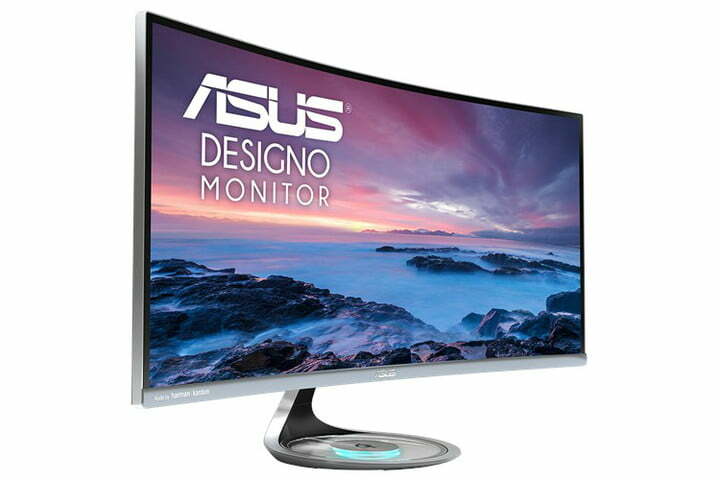 The Asus Designo Curve MX34VQ was announced in 2016, and it’s now making its way to the market, as Anandtech reports. The monitor’s primary claim to fame is an 1800R curvature with 178-degree viewing angles in both directions, combined with thin bezels for a classy look and immersive experience. In terms of other specifications, the MX34VQ is fairly typical. 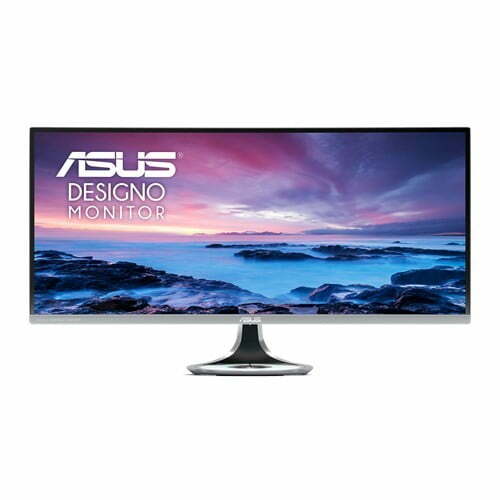 It’s a 34-inch UWQHD panel at 3,440 x 1,440 resolution with a 2.39:1 aspect ratio. Brightness comes in at 300 nits, with a 3000:1 contrast ratio and support for 16.7 million colors. Gamers should be generally pleased with the monitor’s 100MHz refresh rate and 4 ms response time. 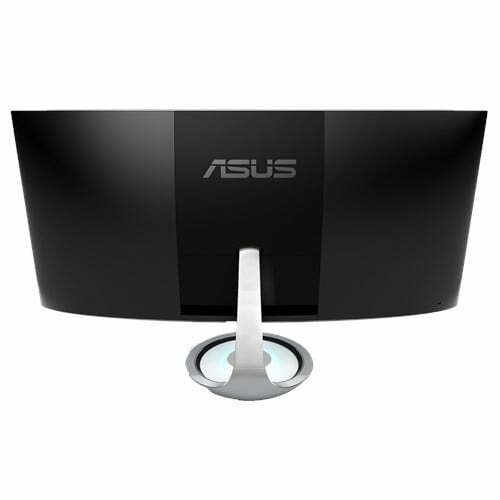 Asus packs in support for picture-in-picture (PiP) and picture-by-picture (PBP) for multiple inputs, while a blue-light filter mode and flicker-free design help ensure that eye fatigue is kept to a minimum. Audio support is provided by 8-watt stereo speakers with Harman Kardon and Asus SonicMaster technologies supporting four different audio modes for gaming, movies, music, and user preference. Connectivity is provided by three HDMI 2.0 ports, a DisplayPort 1.2, and a 3.5mm audio jack. 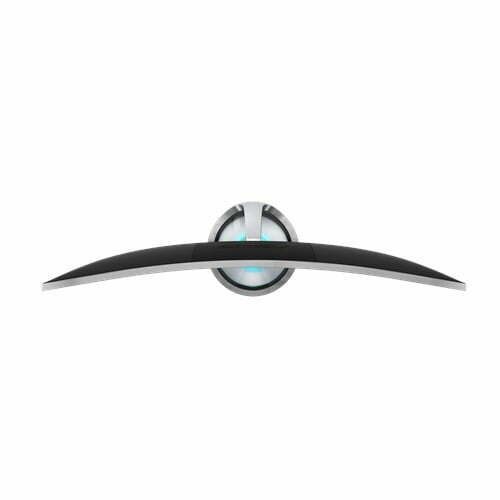 One unique feature is the Qi-compatible wireless charger built into the base of the monitor to provide a place to charge a smartphone or other compatible device, and the “aurora lighting” lets users know when the charging process is ongoing. The monitor is available at retailers such as Amazon for an apparent price of $799, and will be shipping soon. If that pricing holds out, then it’s a relatively attractive value compared to some of the competition. No firm ship date is available, but it’s likely to be sooner rather than later.